Live Dancing Archive Volume I premiered at the University of Vermont in October of 2012 and was performed at The Kitchen, NYC, NY; Krannert Art Museum, Urbana, IL; Chicago Humanities Festival, IL; and Columbia College Improvisation Festival, Chicago, IL in 2013. 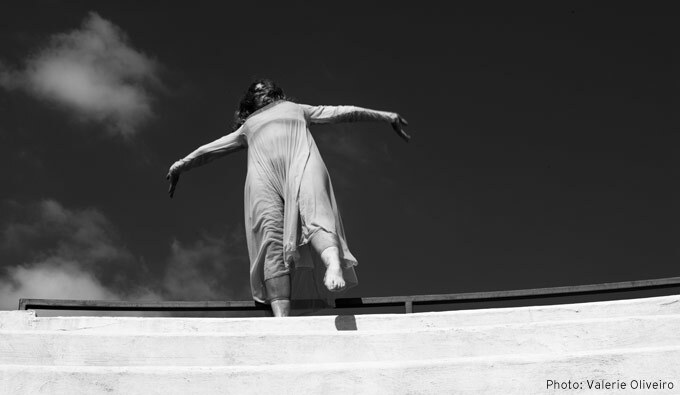 Live Dancing Archive Volume I proposes that the body has the possibility of archiving and revisiting multiple scales of experience. Specifically, Monson looks at how experiences of environment and ecological dependencies are registered through physical movement. Live Dancing Archive negotiates and explores what a queer ecology might offer for dancing bodies and rapidly shifting conceptions of place. Furthermore, the piece looks at how Monson’s navigation of her own queer, feminist and animal-like body has shaped relationships to cultural and social phenomena. 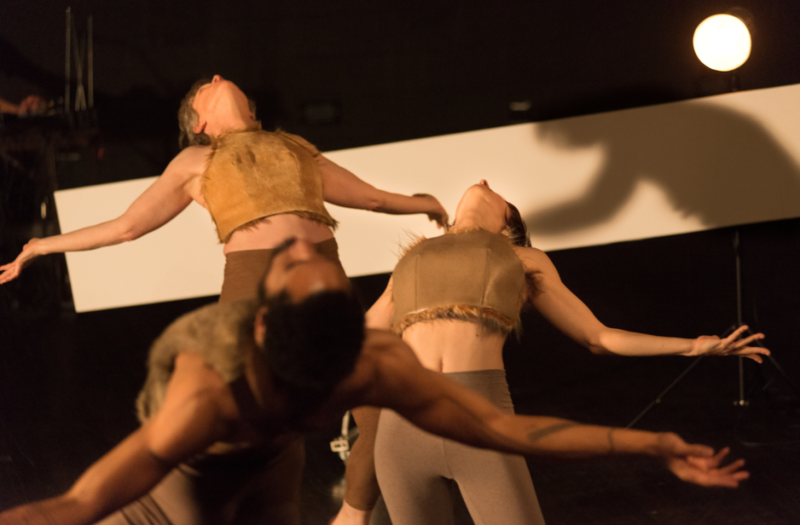 The choreography draws upon more than a decade of Monson’s own dance-based environmental research, particularly her 2002 piece BIRD BRAIN Osprey Migration, an eight-week dance project and tour along the Atlantic Flyway, the bird migration route that extends from the northern Atlantic Coast to South America. The video installation and digital archive elements of the piece query the process of archiving as well as the shifting nature of dance, and environmental phenomena. Vachal’s installation distills 50 hours of video documentation from BIRD BRAIN into a three-hour single channel video loop. The video addresses duration, sensation and multiple scales of movement, while providing an alternative perspective into the creative research process, performances, workshops, and community engagements of the extensive tour. Bae collaborated with Monson to make the web-based archive, www.livedancingarchive.org, Monson hopes the site will make a meaningful contribution to contemporary discourses about archiving dance and environmental projects. Kolar uses the electro-magnetic spectrum of radio frequencies to compose an indeterminate score that intensely alters our perception of the space. Levasseur continuously reshapes the visual experience of the space by shifting a mobile horizon line and a range of lights in response to the spaces generated by Monson’s movement. Becker’s costumes allow Monson to transition from human to phenomenon, space invader to pop star, heroine to pedestrian, and bird to rock. Live Dancing Archive Volume II expanded the investigation of the body as archive by transmitting the dance knowledge of Live Dancing Archive Volume I to Naill Jones. Valerie Oliveiro and Tatyana Tenenbaum. How does the work transform as it moves through and with different dancers? 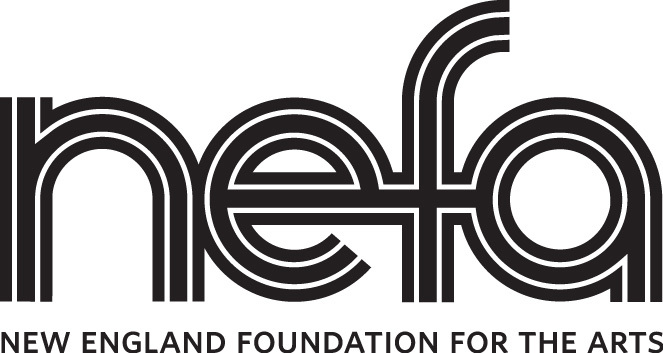 This program is made possible by the New England Foundation for the Arts’ National Dance Project, with lead funding from the Doris Duke Charitable Foundation and additional funding from The Andrew W. Mellon Foundation. Also supported, in part, by public funds from the New York City Department of Cultural Affairs in partnership with the City Council. Support for dance programs at The Kitchen is provided by Mertz Gilmore Foundation, The Jerome Robbins Foundation, The Harkness Foundation for Dance, and with public funds from the New York City Department of Cultural Affairs and the New York State Council on the Arts, a state agency. Additional support provided by a Creative Research Award and Research Board Grant from the University of Illinois of Urbana Champaign and the Marsh Professorship at Large program at the University of Vermont.